This studio is founded on a premise that architecture is fundamentally a part of a larger planetary ecology. Environment, Form and Feedback is a core design studio focused on design of architectures for extreme urban environments. Ecology posits that all entities that have thermodynamic relationships with each other are bound together in complex systems of energy and information exchange: ecosystems. 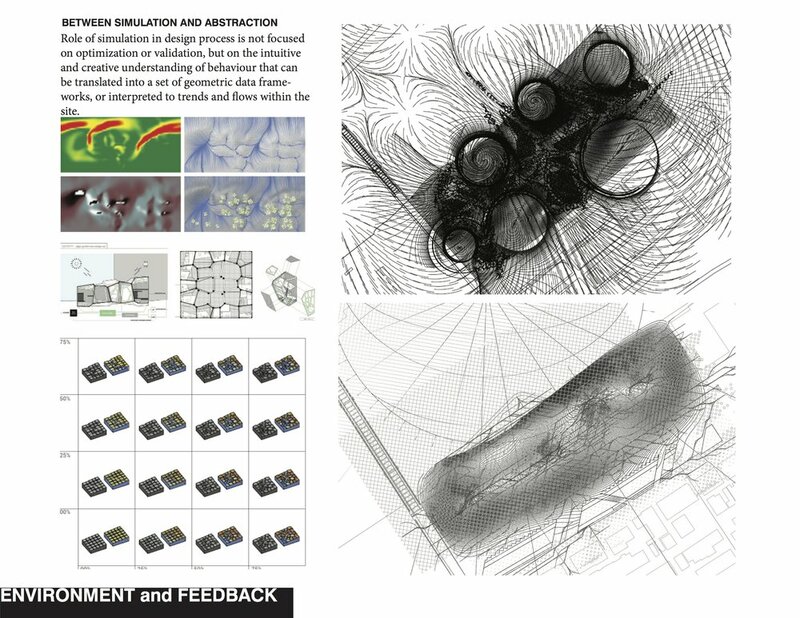 This studio focuses on design of architectural forms within specific site ecology while introducing performative considerations such as energy processing and climate responsiveness into the early stages of the design process. 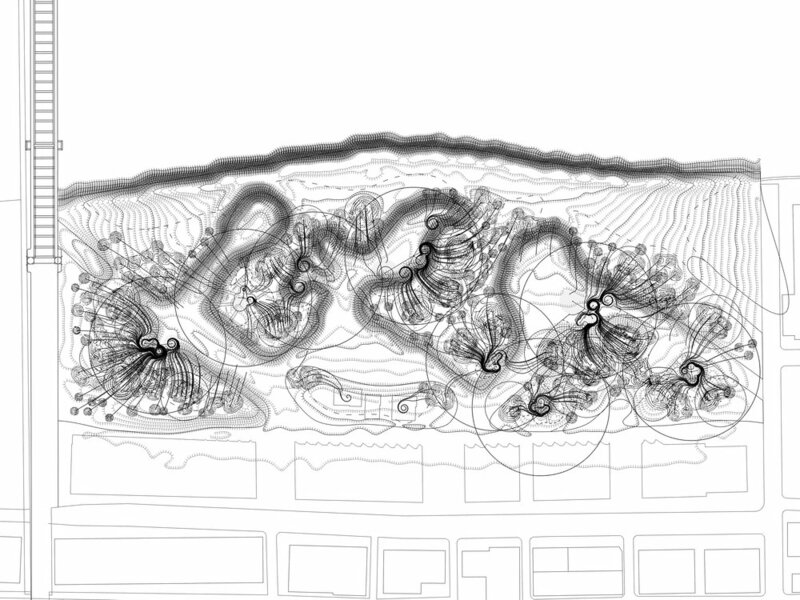 Environment Form Feedback negotiates building forms and their organization within its urban and ecological landscape. By engaging social and environmental patterns, and identifying micro-climatic behaviors within the urban form we move towards the design of architectural interventions that translate across scales to give new shape to the contemporary city. 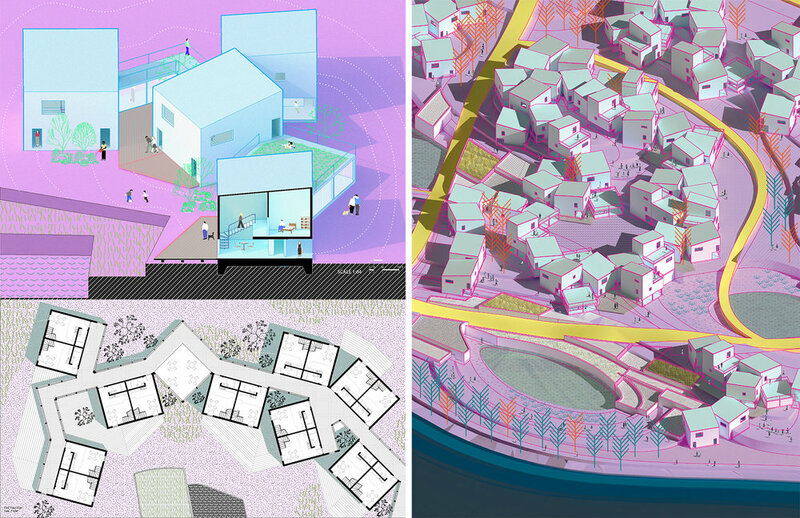 Through a semester-long design project, students are introduced to both analog and computationally-based design techniques that integrate form-making with environmental simulation, in search of individualized architectural language. 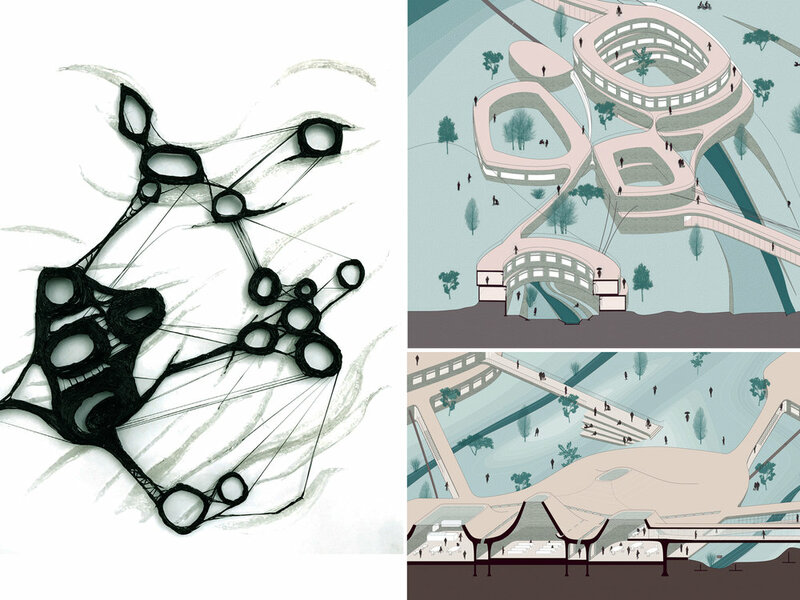 Initially, the studio is focused on understanding the larger ecology of the site, followed by a careful development of architectural organizations and their aggregation at the urban scale. 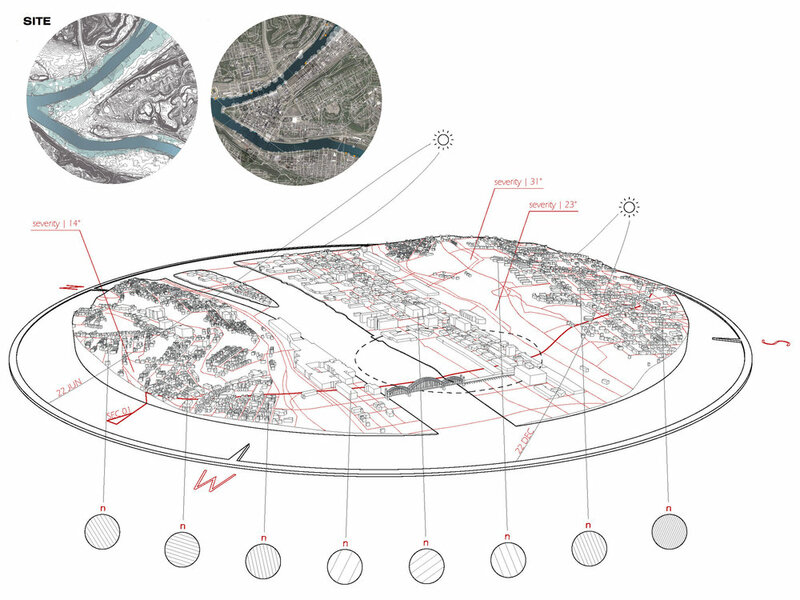 Students learn to negotiate spatial relationships between the water infrastructure, local ecologies and a proposed architectural tectonics. The interdisciplinary goal for the project is the consideration of global socio-ecological issues, such as: improvement of water quality through measures that could benefit construction of natural habitats, support of public recreation, engaging in local food production and enhancement of waterfront and upland communities. Each core studio is coordinated by a full-time faculty member, who develops the studio's pedagogy, content, methodology, projects, and faculty teams within the framework of the overall curriculum. The coordinator, Dana Cupkova, offers lectures, workshops and critiques to support the studio's learning objectives and make connections with associated coursework. Within each studio, sections of 9 to 12 students are led by the prominent practitioners who comprise our adjunct and teahing faculty.